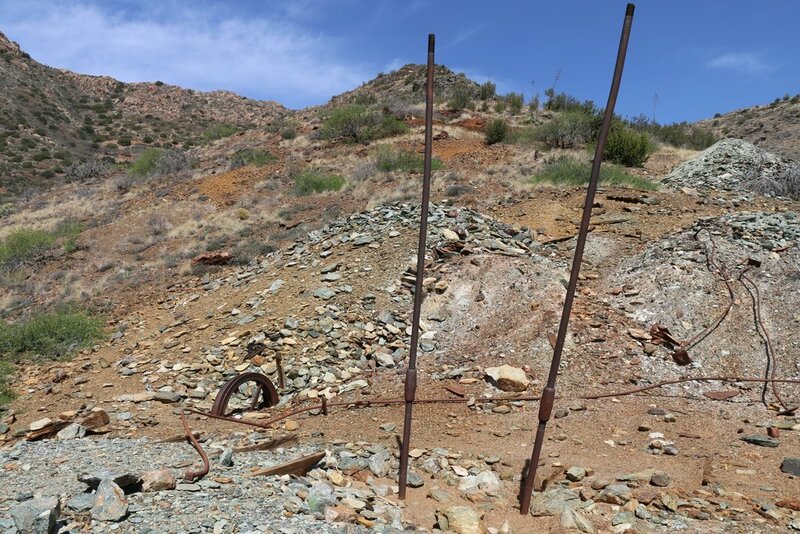 The DeSoto Mine is a former copper mine and camp high on the slopes of the Bradshaw Mountains above present-day Crown King Road. 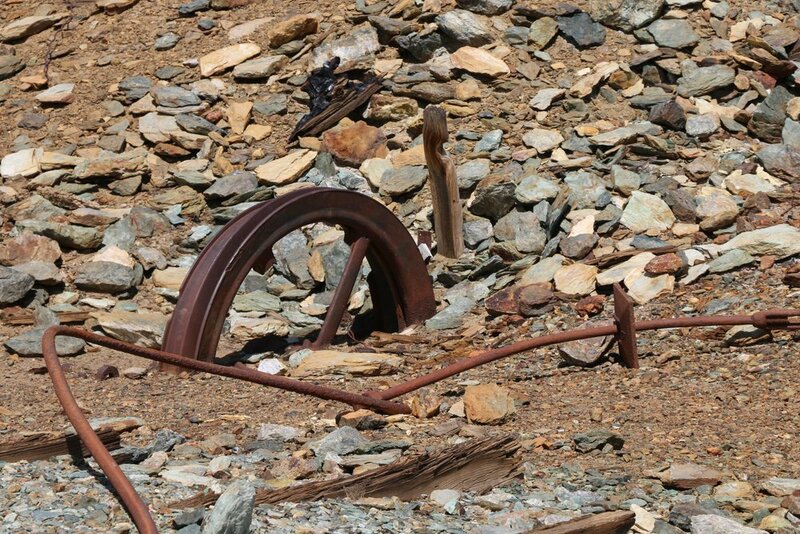 The mine’s location on the hillside provided unique problems -- and interesting solutions -- in terms hauling ore off site. 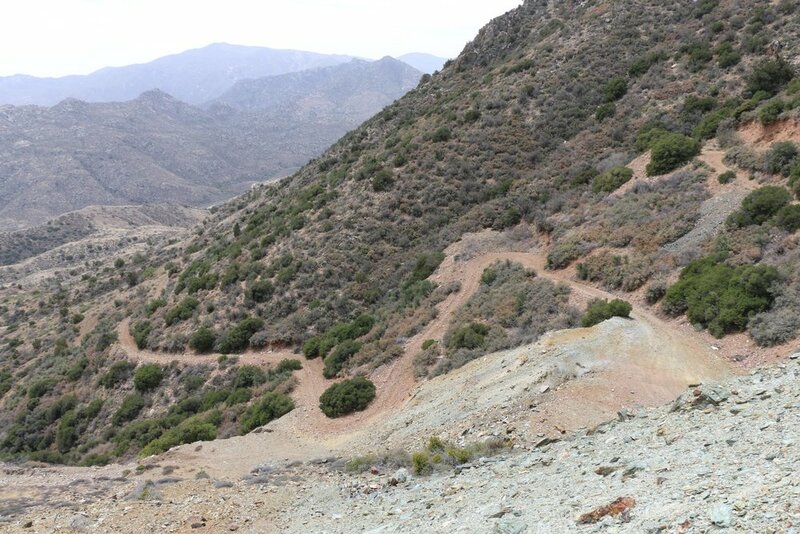 Today, foundations, tramway towers, and numerous shafts can be found at the end of a four mile 4x4 road. DeSoto Mine and the area surrounding it was first prospected in the 1870s. 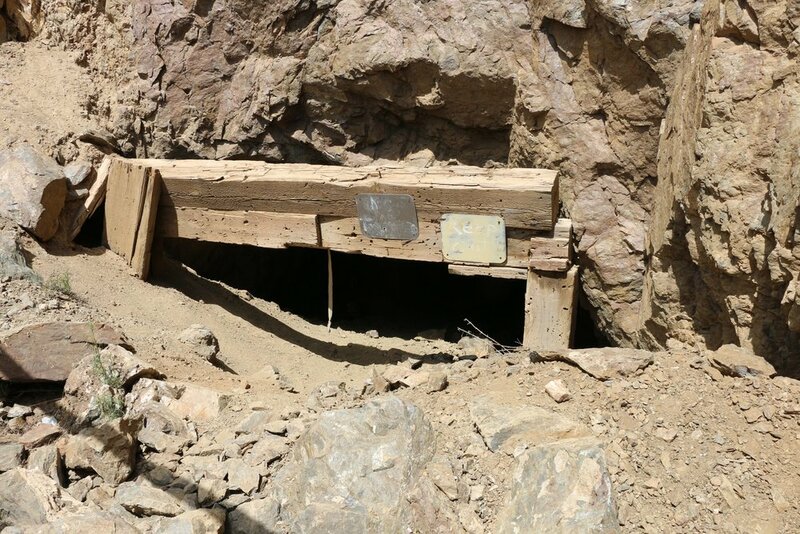 It wasn’t until September of 1875 when a rich outcropping was found on the northeast face of the present-day mine site. 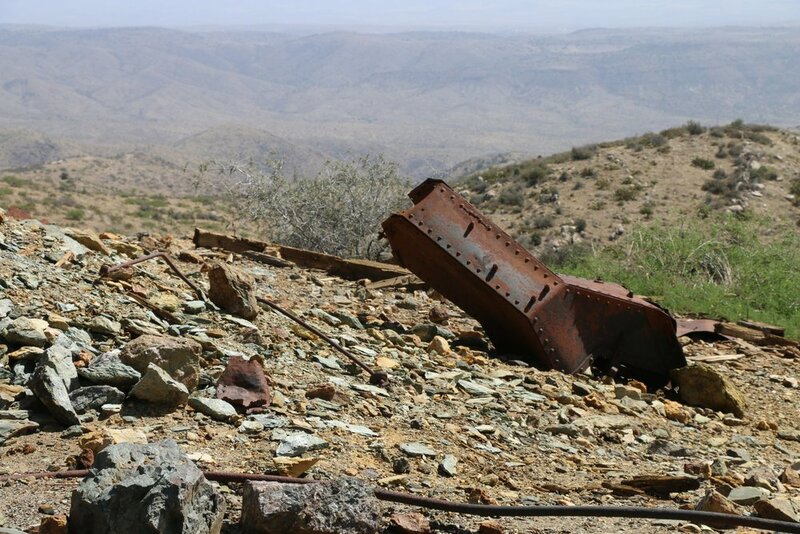 The mine was first called the Buster Copper Mine, but would later become known as the DeSoto. The property was slowly developed and worked over the next 25 years. It wouldn’t become largely profitable until the railroad arrived. With the completion of the Poland Branch of “Murphey’s Impossible Railroad” in 1902, construction crews arrived in Crazy Basin to continue work. They were moving onto the Crown King Branch of the Bradshaw Mountain Railroad that would connect from Prescott to Crown King. The railroad would haul ore and riches out and miners and supplies in. Up until this point, construction crews had a fairly simple time on the flat terrain. Crazy Basin however would prove challenging as numerous switchbacks would be required to ascend the steep mountainous terrain. A construction camp was set up near the base of the DeSoto Mine. It was called Middelton after George Middleton, the owner of the DeSoto Mine. A small town boomed around Middelton as not only temporary crew quarters popped up, but also permanent bunkhouses, a depot, and even a railroad turntable all constructed by the railroad. With this new population boom, the progress and success of the DeSoto also boomed. A new tunnel was sunk at the DeSoto in 1903 to allow ore to be hauled out easier. An assay office, boardinghouse, cookhouse, blacksmith shop, warehouse, and corral were all constructed on the high slopes around the DeSoto Mine. A post office was opened in Middelton on May 8, 1903 with George Middleton as postmaster. While the DeSoto was churning out decent grade ore (about 3.75% copper), a more economic method of shipping ore was needed. The solution was probably thought of by someone standing on the slopes near the DeSoto: “why don’t we just send it down through the air”. In April of 1904, an aerial tramway was constructed connecting the mine and the railroad depot at Middelton. The 4,000 foot tramway was designed by the Blechert Transportanlagen Company of Leipizig, Germany. The tram could haul up to 2,000 tons per day and allegedly used gravity and weight to move itself, with no external motor or mechanisms needed. Ore was transported via rail to the Humboldt Smelter near Mayer for processing. By 1904, Middelton boasted 75 full-time residents and DeSoto boasted around 100. 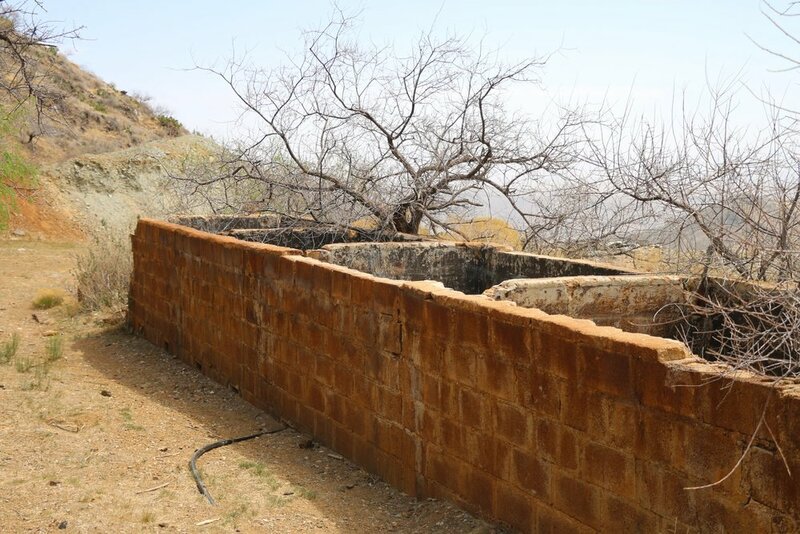 By 1905 the property had been purchased and was owned & operated by the Arizona Smelting Company, of which Frank Murphey (the railroad pioneer) was one of the board members. Success was short lived and low-quality ore meant that the mine couldn’t support such a large operation. In 1908 the company went bankrupt and the post office, along with several other buildings and two saloons, were closed down. All that remained in the towns were a mine watchman and a few railroad employees. With the onset of World War I, demand for copper was on the rise, and this made DeSoto not only profitable but also much-needed. The tramway was reconditioned and life returned to the towns of Middelton and DeSoto. This newfound success was nowhere near that of the prior boom. A small store owned by James P. Cleator was one of the only businesses in town. The mine office was moved up to the DeSoto Mine and the post office was reestablished under the name “Ocotillo”. By 1917 the town even claimed a schoolhouse with a maximum enrollment of 14 kids! The ‘20s brought with it more doom and gloom. The mine was discontinued in 1922 and the post office soon after in 1925. The price of copper dropped dramatically. 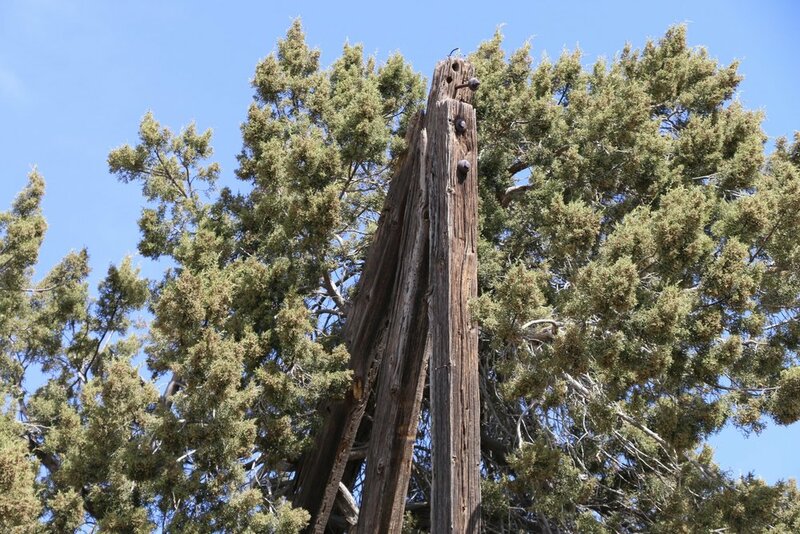 The railroad tracks between Middelton and Crown King were removed just a year later in 1926, with the rest of the line being ripped up in 1932. Most buildings were moved or destroyed, and the only standing remnants were the tram towers. The DeSoto was worked and prospected on and off for the next four decades, ultimately shutting down for good in 1972. The long-term, but limited success of the DeSoto Mine is interesting to say the least. The mines unique location on a hillside above a railroad camp certainly called for some innovative and unique mining and transportation techniques. During its operational period, the DeSoto produced 180,000 tons of ore valued at approximately $3,250,000. 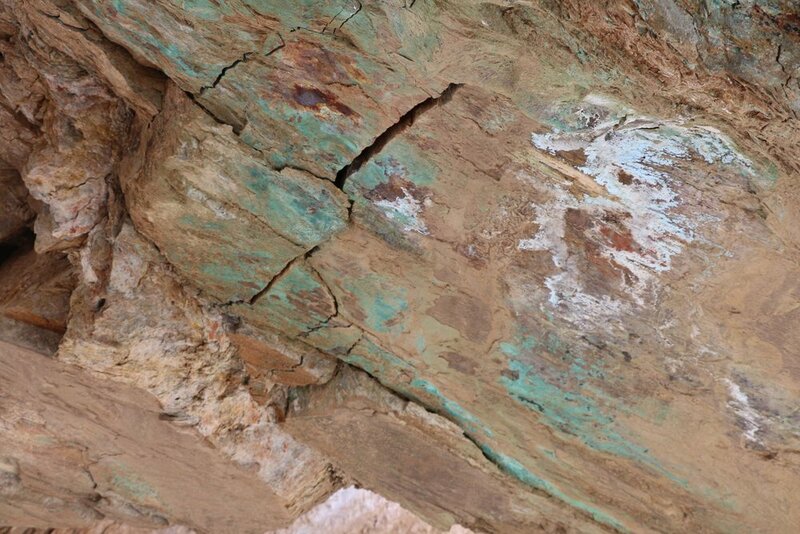 Copper was the most abundant mineral found at the mine, but gold, silver, lead, zinc, iron and even tungsten were found in smaller quantities. A few scattered remnants and a few old shafts can be found on the hillside. 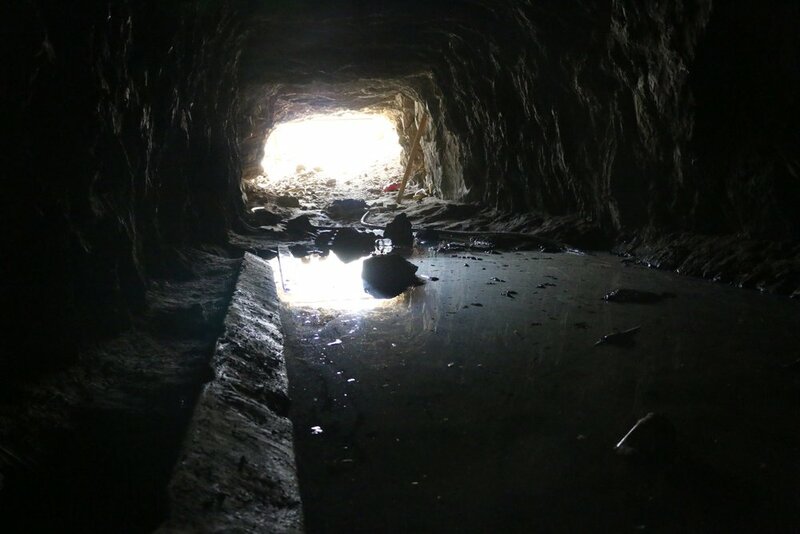 The horizontal adit has since flooded and typically has cool air blowing out most of the year. Use extreme caution near this adit and the dangerous vertical shafts 900 feet above on the main outcrop. A 4-wheel drive vehicle with high clearance is required to get to DeSoto Mine. Shorter wheel-base vehicles recommended. Follow the directions on the DeSoto Mine trail page for more specifics. Wilson, Bruce M. “Crown King and the Southern Bradshaws: A Complete History.” Pages 64-67. Chandler, AZ: Crown King Press, 2002. Print.